New lesson programs for adults are perking up the lineup at [R493R, Whistler Blackcomb] this winter. Smaller group sizes and new camps are just a few of the upgrades coming to the Adult Ski and Snowboard School. The new Max 4 program reduces group sizes for daily adult group lessons. The previous structure of forming groups of seven to eight or paying more for a Super Group of three people is gone. In its place, all adult group lessons for skiers and riders of any level will be kept to a maximum of four students per instructor. "We found the satisfaction rate much higher for those in a Super Group. The repeat rate with people coming back to take another lesson was higher, too," General Manager of the Adult Snow School Bart Barczynski said. The school opted to make all group classes small to give all participants a better experience. "The benies are huge," Barczynski said. "The instructor can get a lot more one-on-one time with each student, which translates into improving ability that much more. By having a smaller group, the chance of a group being more cohesive is better with a reduction of the difference between individual skill levels. Plus, beginners just have a better experience." 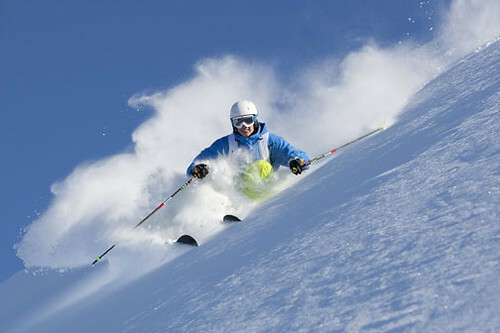 Smaller groups also increase the safety in lessons taught in the alpine areas of the mountains. "We take clients into amazing secret spots," Barczynski said. "It's nice to limit the groups to four to increase safety." Adult group limits of four participants increases safety for lessons in the alpine areas of Whistler Blackcomb. Photo by Paul Morrison. Courtesy of Whistler Blackcomb. New specialty camps have also been added to the adult lesson schedule this winter. One targets advanced skiers and another focuses on seniors. They each cost $499. The Bilodeau All Mountain Workshop, which is scheduled for Dec. 9-11 and April 13-15, is designed for experienced skiers in levels four through six. Hosted by Don and Heather Bilodeau, the camps feature coaches who are top ski and snowboard instructors that certify other instructors. "The Bilodeaus are legendary in the snow school business in Canada," Barczynski said. "I anticipate that even instructors may sign up to improve their ability levels in these camps." The new All Mountain Workshops target advanced skiers. Photo by Paul Morrison. 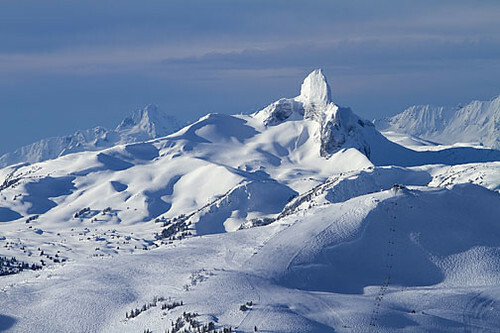 Courtesy of Whistler Blackcomb. The new Senior Ski Team Tech Camps headed up by Wendell Moore target those age 55 and older that want to learn more about the technical side of skiing. Participants must be competent on green and blue runs. Although the camps are open to anyone, it was developed to serve the growing number of senior skiers in the area. "We have a massive senior ski team that is growing every year," Barczynski said. "It originated with seven members a few years ago and now has more than 250 members." The four-day camps, offered Dec 20-23, Feb. 21-24 and April 3-6, hit the slopes for a half-day of instruction and then spends a half-day assessing gear, alignment, stance, balance, movement screening, and other technical issues. More information on the camps and lessons is available here, or by calling 800-766-0449.